PD. 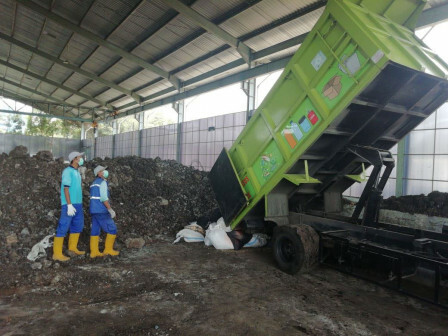 PAL Jaya will use horse manure at Jakarta Equestrian Park to produce compost. "We will examine this horse manure to make compost "
PD. PAL Jaya Director, Subekti mentioned, his side transports six cubic or two trucks of horse manure from Equestrian every day. This manure will be collected in PD. PAL Jaya's waste management site. "We will examine this horse manure to produce compost," he said, Saturday (9/1). He explained, PT. Jakarta Propertindo's subsidiary, PT. Pulomas Jaya which is responsible for Jakarta International Equestrian has directly requested to transport the manure. Manure transporting is already done from D-2 until those horses were sent home to their countries.